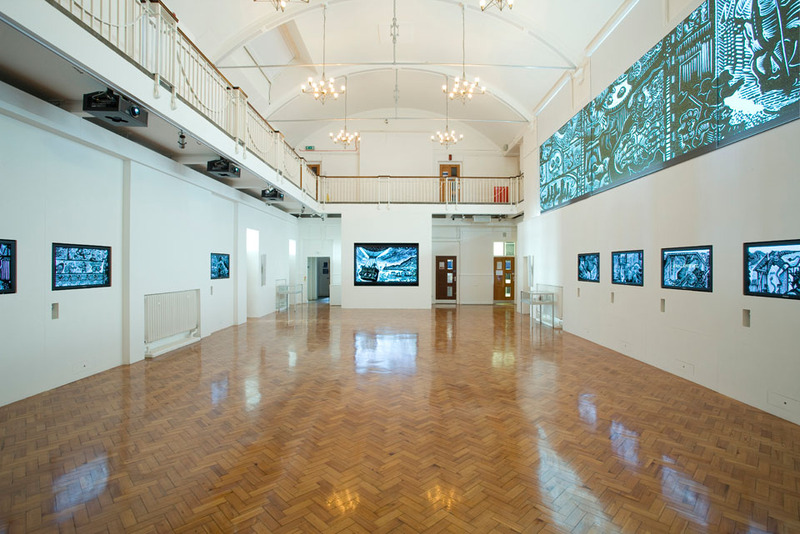 Ruskin Gallery is part of a larger initiative by the Anglia Ruskin University to explore possibilities of art intertwining with science and technology as one. 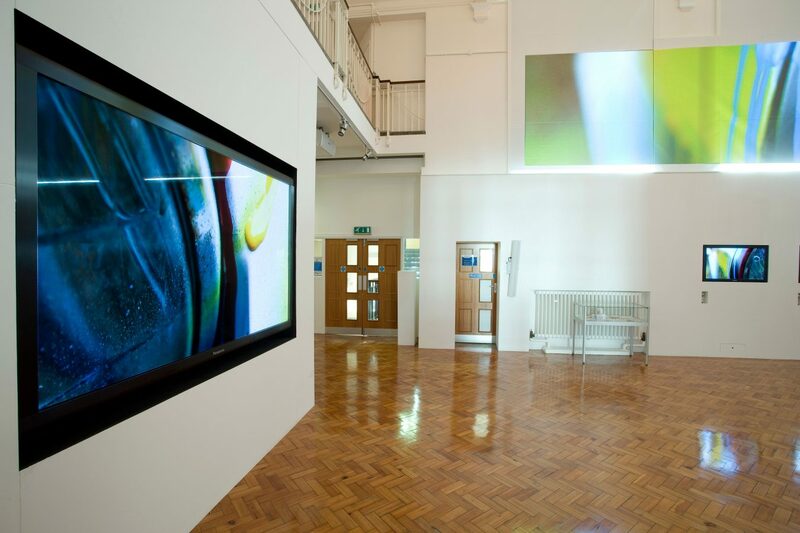 ARU already run similar cross-disciplinary projects such as Digital Performance Lab and Cultures of the Digital Economy Research Lab. 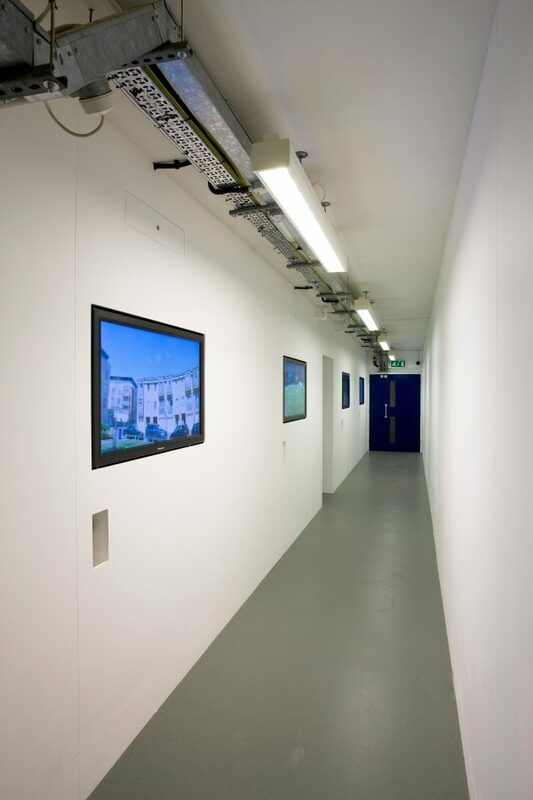 Surrounded by artists’ studios, it was designed for free exhibitions of digital and still art and joins worldwide projects to provide a medium for both ‘exhibiting’ and ‘displaying’ art. 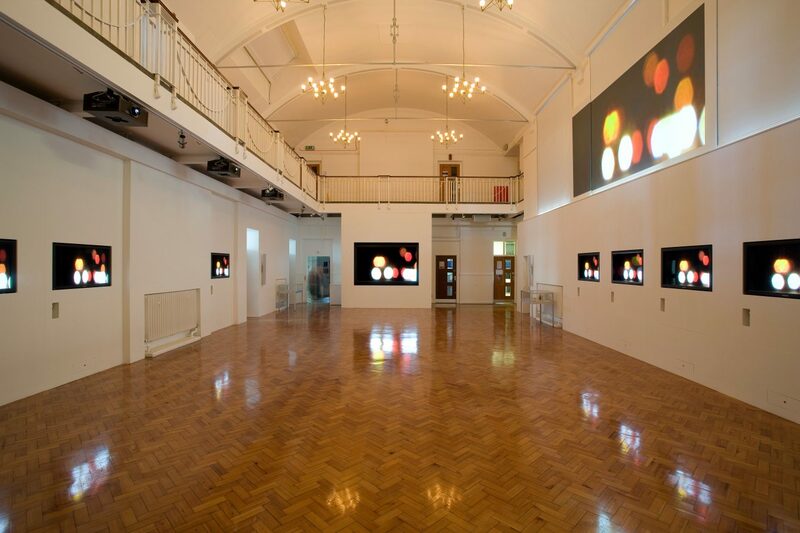 The new public access gallery is located in the Cambridge campus of Anglia Ruskin University, and is part of the Cambridge School of Art started by John Ruskin in 1858. 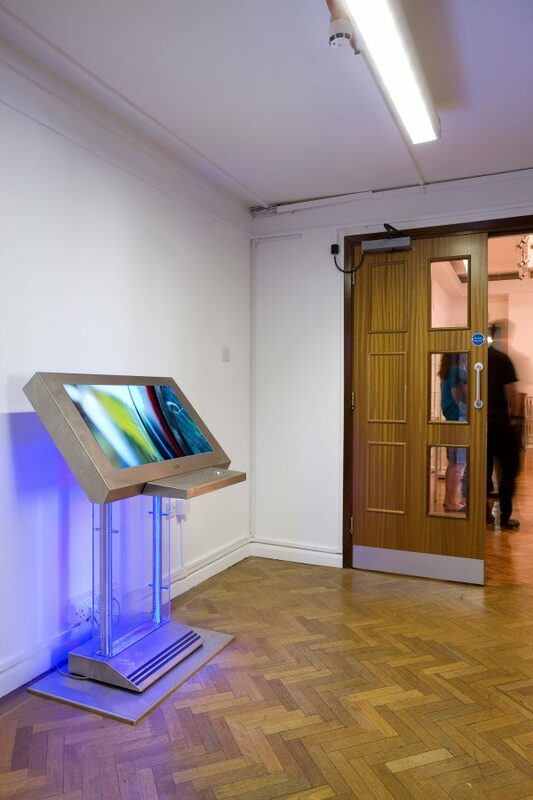 Ruskin Digital Gallery was to be the first of its kind in the UK, and the client brief sought to provide a medium for students and artists to exhibit (wall-hanging) as well as digitally display their work. More importantly, this project had to provide impetus to explore newer and more interactive ways of interpretation and expressions of creativity for students at the School of Art. 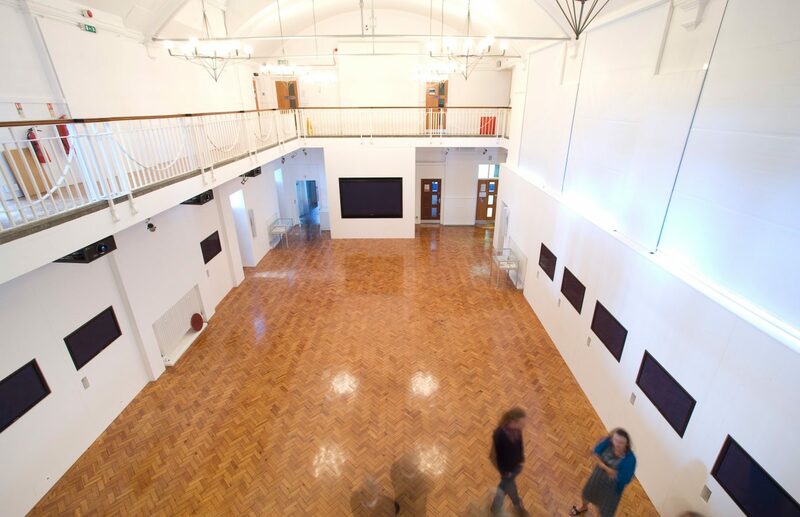 The audio visual specification required that all equipment should fit seamlessly, but equally, blend sympathetically with the period character of the building, with its vaulted ceilings and traditional parquet flooring. 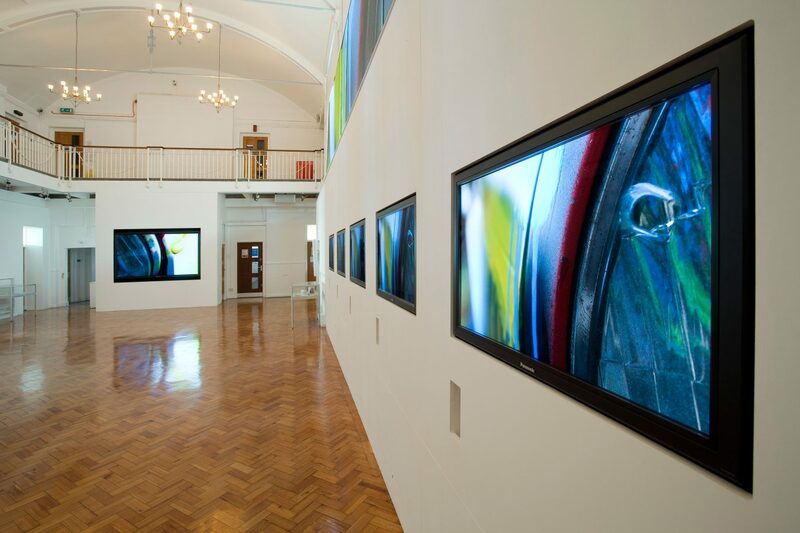 In order to deliver AV systems befitting the pioneering vision of the gallery’s creators, we drew on the industry’s latest innovations, including the world’s largest (and installed for the first time in UK) 103″ 3D Full HD plasma screen, which was specially shipped from Panasonic Japan for the project. 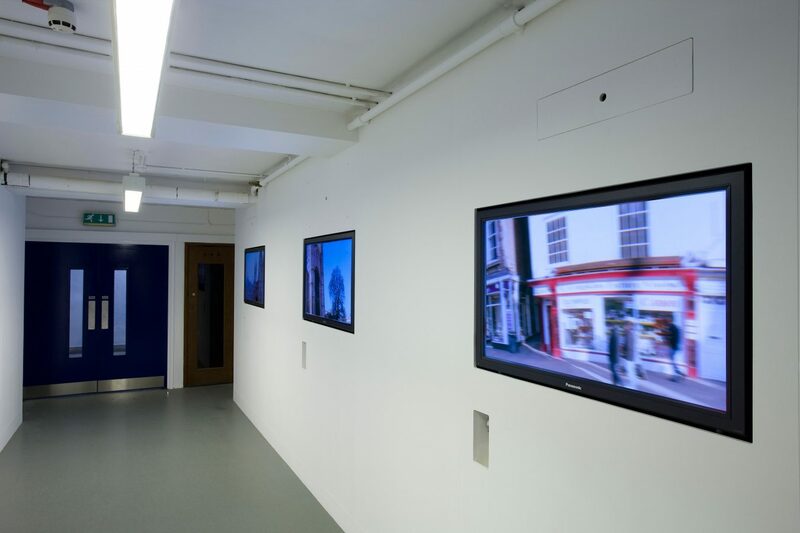 The gallery also features a triple Panasonic edge-blended projection system, a number of recessed Panasonic 42″ Full HD displays (with personal audio handsets, architecturally concealed panels, local digital and analogue connectivity), digital signage and an interactive kiosk. 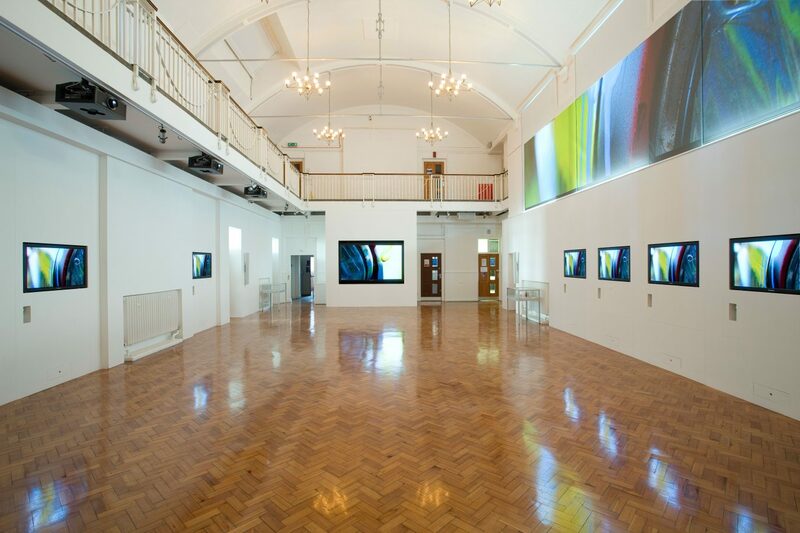 In addition, the gallery is equipped with Dataton Watchout for seamless content flow from screen to screen via dedicated fibre and copper based AV LAN, which was commissioned by Snelling Business Systems. 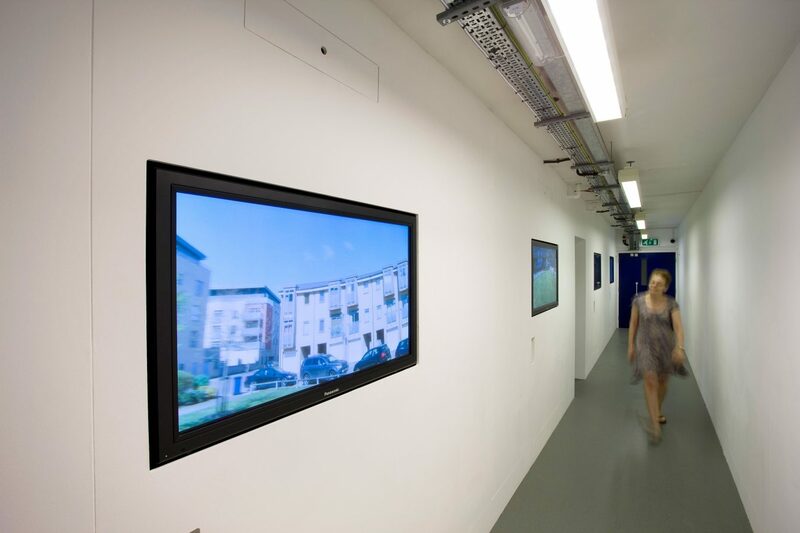 To compliment the visual capabilities, a custom-built Bose Audio System, touch screen control surfaces, and a purpose-built AV control Room were also integrated. 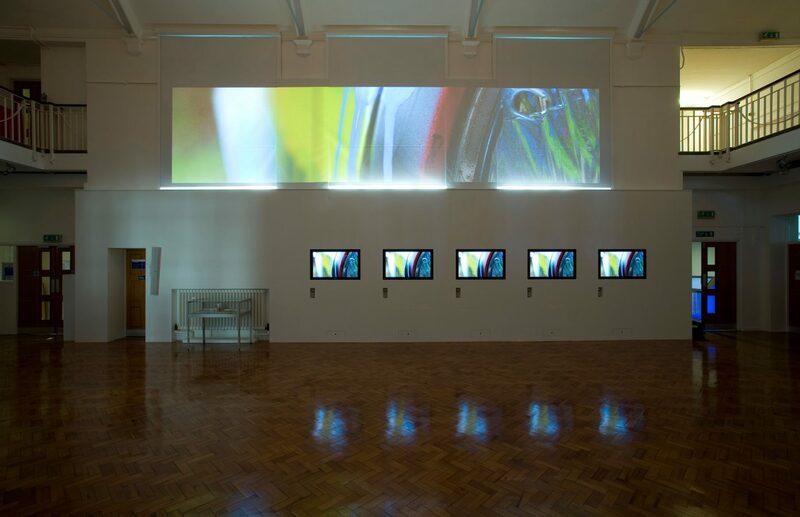 Most importantly, the installation was complete on time and budget, including complimentary software with gallery templates for the art students, to encourage creativity in design and interpretation and for a richer student learning experience. 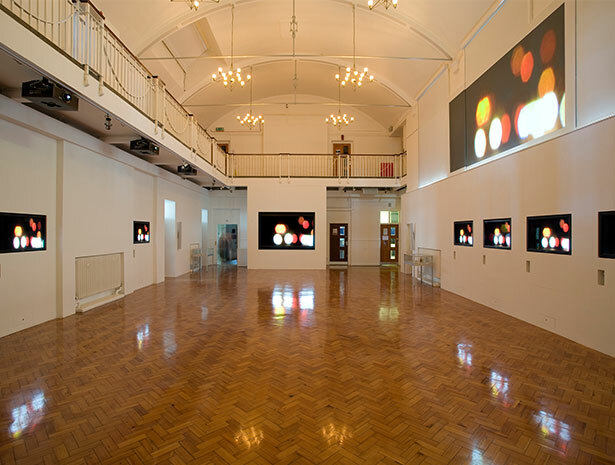 Download the Ruskin Gallery Casebook.